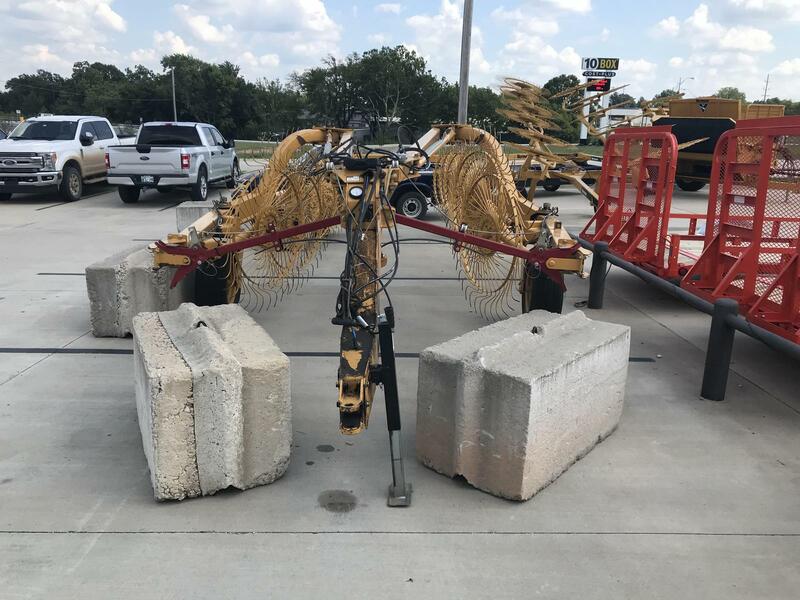 This used Vermeer Hay rake is available at our Ada Kubota dealership. 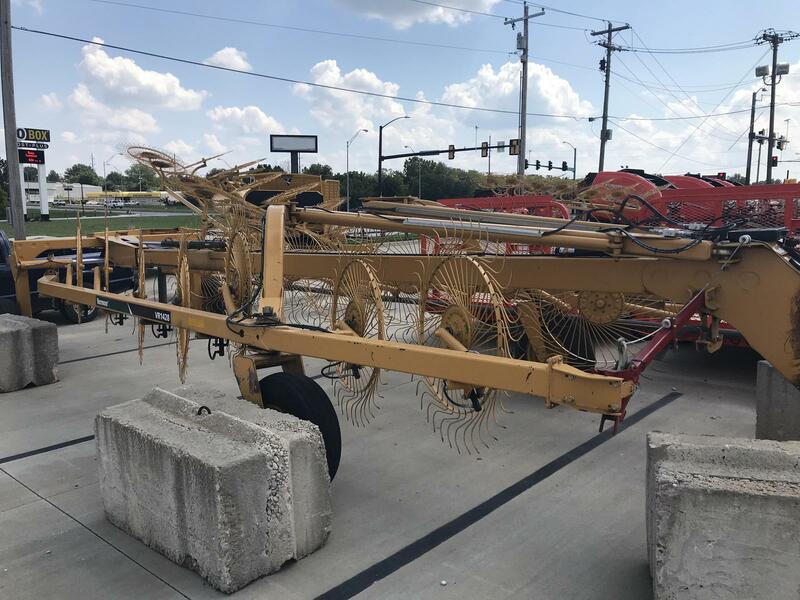 Priced at $13,000 this high capacity wheel rake is in great shape and is field ready. 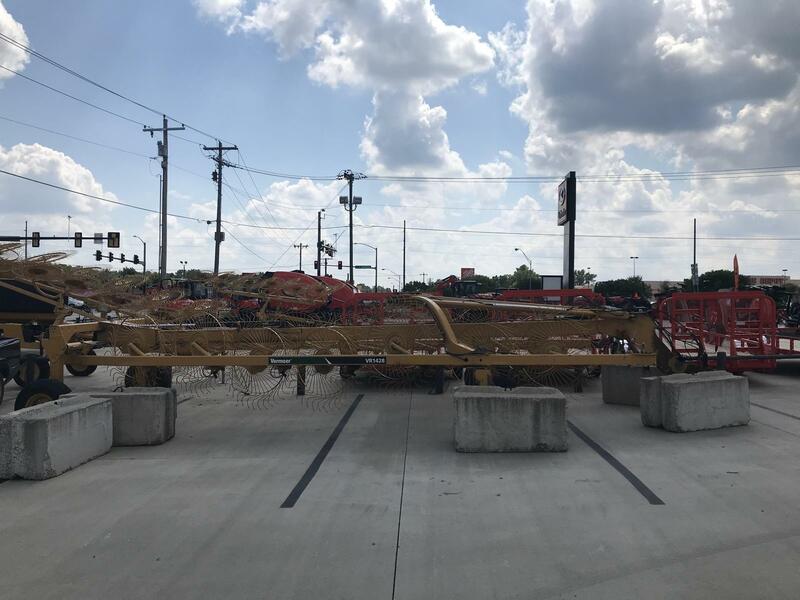 The heavy-duty VR1428 high-capacity wheel rake is capable of raking 28' (8.5 m) wide in one pass – yet nimble enough to maneuver like rakes much smaller in size. It offers producers more capacity and the ability to handle more acres in less time, with fewer maintenance issues by combining rugged construction, smart, streamlined design and functionality with simple, tool-free adjustments. • With a lift/suspension cylinder on each wheel and the nitrogen-charged accumulator, changing rake wheel settings and pressure is easy! Simply change the pressure settings on the accumulator. • Heavy-duty construction throughout – non-telescoping, non-bolted joint straight tongue, as well as bent tube frame and fold arms. • Handles like many smaller capacity rakes because it’s closely positioned to the tractor when operating in the rake position. • Optional center splitter attachment. Exclusive dual rake wheel combination gently lifts and turns the crop in the center of the swath. 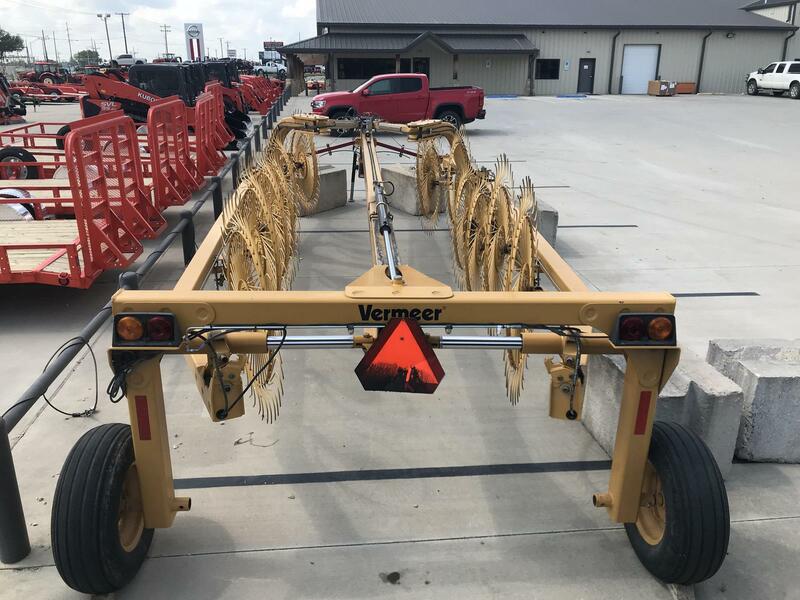 For more info on this or any new or used Vermeer hay equipment for sale at any of our Kubota dealerships give our sales guys a call today.